The German Coleslaw Recipe is easy to prepare. The color of the cabbage depends on the time of the year. Coleslaw is a favorite for outdoors parties or a barbecue in the backyard. Coleslaw is called Krautsalat in Germany. Divide the cabbage into four quarters and remove the stalk. 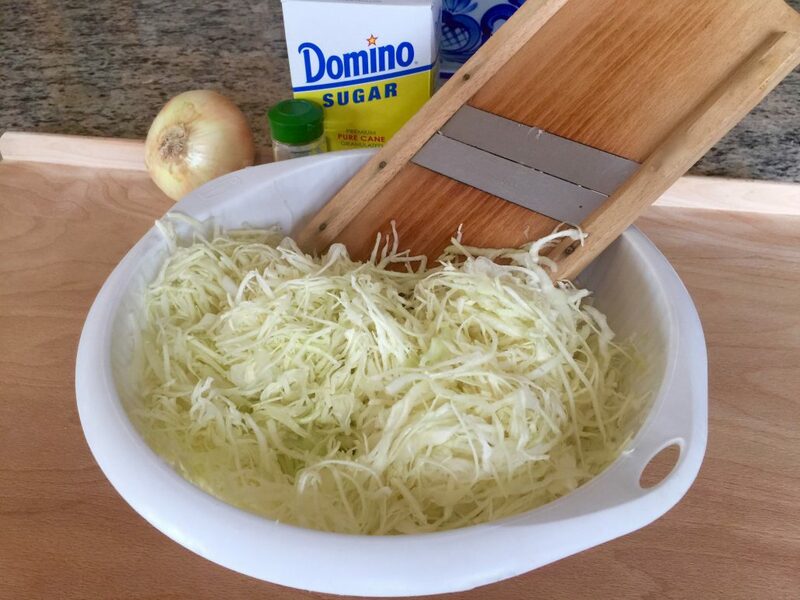 Slice the cabbage into strips with a knife or a mandolin slicer. Place the cut cabbage in a colander and wash it under running water. Heat two tablespoons of oil in a saucepan. 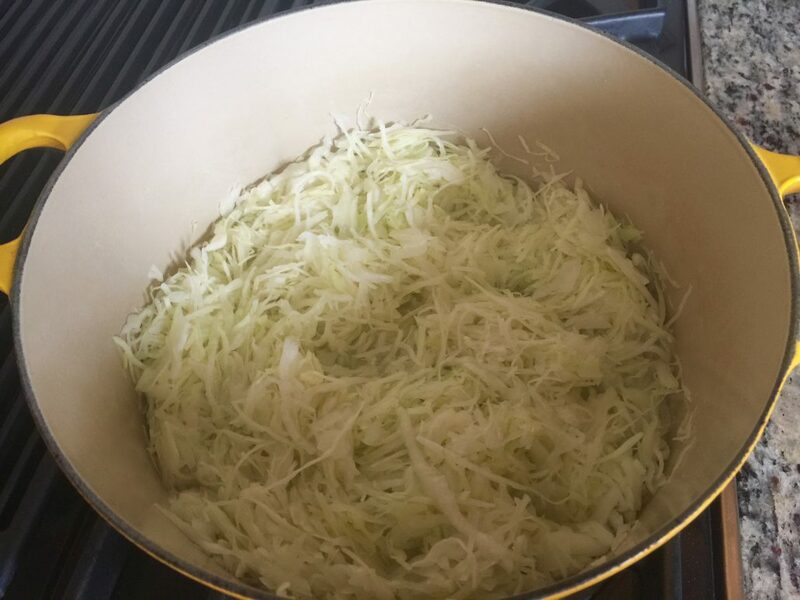 Add the sliced cabbage to the pan and add one cup of water (water should not cover the cabbage). Let the cabbage steam for about 3-5 minutes while stirring with a wooden spoon. Place the steamed cabbage back into the colander and rinse it under cold water. 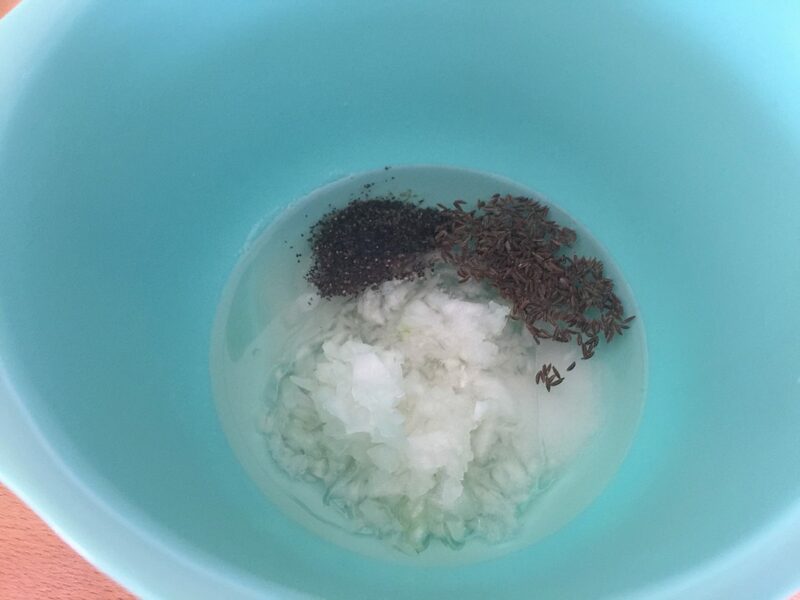 To make the dressing, mix the oil, vinegar, onions, salt, pepper, caraway seeds, and sugar in a bowl. 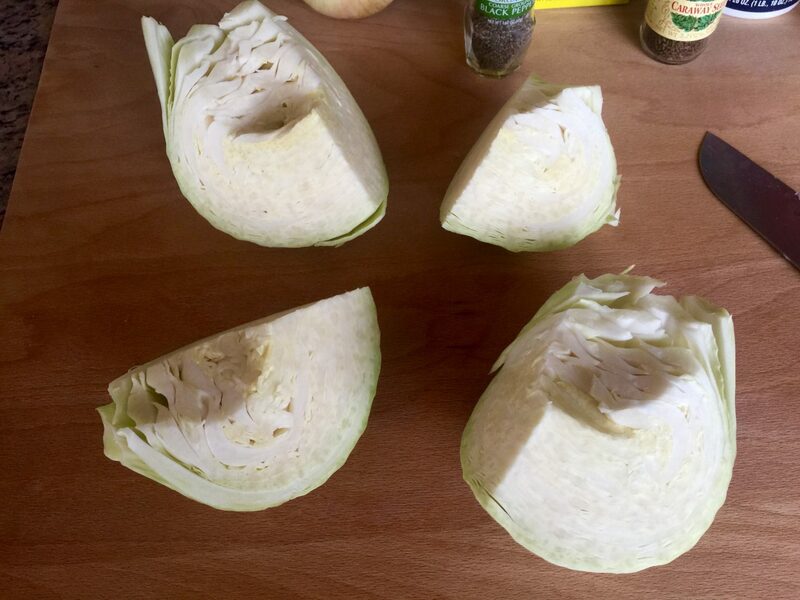 Place the cut cabbage in a larger bowl. 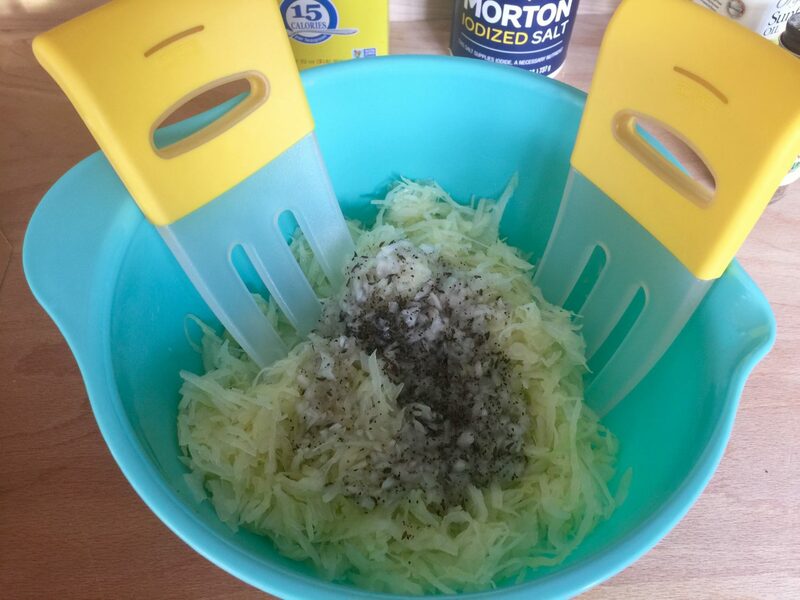 Pour the dressing over the cabbage and mix thoroughly using two spoons or salad hands. Keep the salad refrigerated for about two hours before serving. The German Coleslaw is an excellent side dish for your Oktoberfest. Check Oma’s Oktoberfest Guide. To try the German Pork Roast Recipe click here or the Green Been Salad click here.